SanDisk may not have been the first name in the solid state drive business, but they’re among the best. Instead of offering a new product like some companies announce a flavor of the week, SanDisk ensures they’ve taken the time to reduce risk and failure to the lowest levels possible for their SSDs. As a result, they’re one of the few remaining brands that can offer consumers a five-year warranty that leads the entire industry. 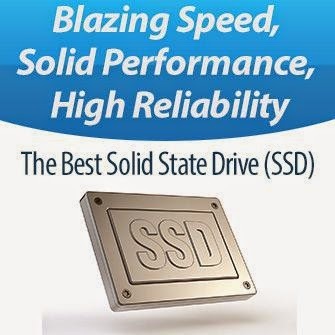 We have included this drive in our fastest & best SSD list for year 2013 as some of the most renowned SSD reviewers (such as Anand Tech and Tweak Town) have chosen it as their editor’s choice product, thus we included it in our fastest and best SSD list for [year 2013], although it did not gain many rewards from IT Professionals. Below are the top-level award trophies this drive got from SSD experts, and as can be seen they are not many, as most of them granted it their second-level award trophy. SanDisk’s Extreme II is an amazingly consistent performer. Joining the ranks of Seagate’s SSD 600 and Corsair’s Neutron, the Extreme II offers a balance of good peak performance and performance consistency. It’s honestly my favorite client SSD on the market today. Assuming there are no strange compatibility issues or firmware problems that develop, the Extreme II will likely become one of my most recommended SSDs. Far too often I have to supply the caveat of “make sure you don’t fill the drive!” whenever I recommend an SSD. With great worst case performance and good IO consistency in that state, I can recommend SanDisk’s Extreme II without any stipulations which I greatly appreciate. There’s a lot to like about the Extreme II, and it’s good to see SanDisk leveraging its unique strengths to create an enthusiast-oriented offering. Ultimately, we think SanDisk’s new Extreme II series of solid state drives are top-notch and worthy of consideration for your next build / upgrade. Overall performance is very good, the drives offer high endurance and they’re backed by a 5-year warranty from a company that’s been around for ages. If you’re looking for a high-performance SSD, SanDisk’s Extreme II SSDs should be on your short list. The SanDisk Extreme II SSD has shown some of the best test results we have seen to date and they have been consistent. At a very reasonable (in SSD terms) price of around 95 cents per GB, the Extreme II offers extreme value for the performance-minded enthusiast. In nearly every test the SanDisk Extreme II not only beat the field but in more times than expected it simply annihilated the competition! Slight pricing adjustment makes SanDisk’s high-end drive very competitive, but not entirely differentiates it from tough rivals, namely Samsung. The only complaint I really have about the Extreme II is the lack of encryption/eDrive support. If you don’t care about running with encryption enabled however, there’s really nothing wrong with SanDisk’s Extreme II.